Aerial images from Globo TV showed smoke emerging from a charred area. 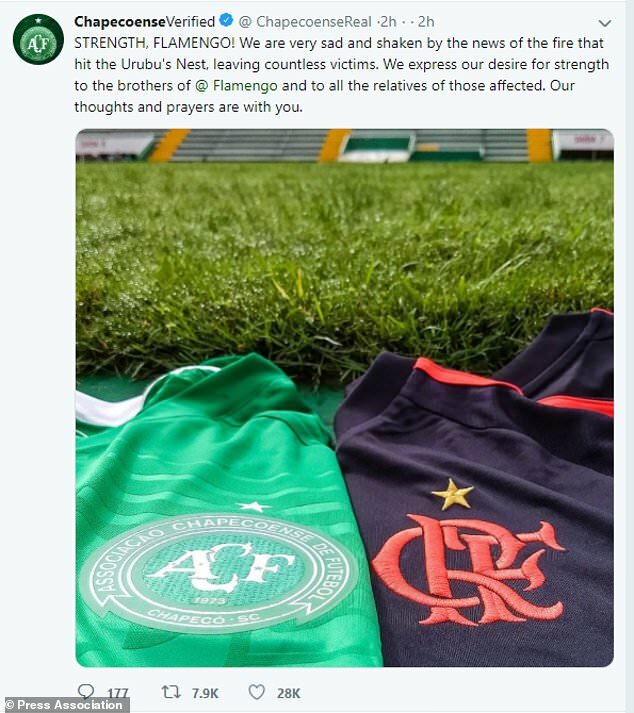 “Flamengo is in mourning,” the team posted on its Twitter account. Family members, friends and neighbours were gathering outside in hopes of getting information. Jefferson Rodrigues, who runs a small bar near the club, said he had reached a 15-year-old player he had befriended. “I am very happy. I just spoke to Caix Suarez and he is alive,” said Mr Rodrigues, adding that the youth told him he ran when he saw the flames in the morning. Joao Pedro da Cruz, a 16-year-old player in the Flamengo youth league, told the G1 news portal he had decided not to stay the night at the facility on Thursday because the team was not going to train on Friday. Instead, he went to a friend’s house.